BH Fitness LK570 Hybrid Exercise Bike is a Light commercial Hybrid bike offers the best of both worlds and performs like no other. This bike has a wide variety of light commercial applications, and is also ideal for medical facilities and senior centers. This Hybrid bike reduces the stress on your joints while allowing for ease in entry and exit. Its user Capacity is of about 300lbs and the frames and generator of exercise bikes used for residential purpose comes with a lifetime warranty while the warranty of generator and frames of exercise bikes used for light commercial purpose is of 5 years. *Note: Most of the sites, stores or shopping portals listed above sell BH Fitness LK570 Hybrid Exercise Bike with discounts and other exciting offers. 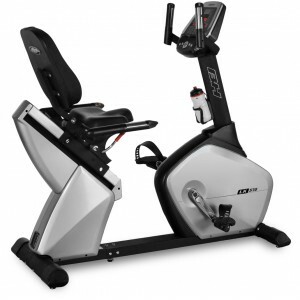 There is a possibility that the some of above websites are not selling BH Fitness LK570 Hybrid Exercise Bike now. Toughtrain.com is not liable for such cases or instances. Also we do not recommend any seller for BH Fitness LK570 Hybrid Exercise Bike and a buyer should buy from where he/she gets best deal with quality of products, service and on time delivery (shipment).